Bangladesh, a country with a size of 147,570 km2 , has the largest delta in the world with one-third of the country residing a costal shoreline. The livelihood of the inhabitants is exposed to a series of tribulations causing radical setbacks, of which natural disasters like tropical cyclones bring large-scale salinity intrusion. Occurring due to three main causal factors including climate change, sedimentation, and low water flow, salinity poses challenges in agriculture and overall food security, hence impeding the health and livelihood of marginalized women, children, and elderly and explicably the overall vulnerable population at large. Against that backdrop, this chapter will delineate three broad spectra of Bangladesh’s approach to “living with salt”: (1) the assessment of salt intrusion in water and soil in Bangladesh’s coastal zones due to climate change, (2) understanding the vulnerabilities to salinity within marginalized population, and (3) coping or adapting strategies to combat and live with salt. 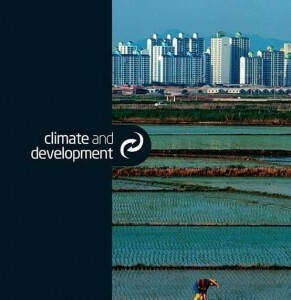 The chapter also includes the findings of a recent case study conducted on Bangladesh coastal zone to demonstrate the current livelihood conditions under salinity, conditions of the actions taken by the government and nongovernment organizations, gaps, and recommendations for a more resilient coastal community.